Expat Lesley-Ann Brown will have a new book published next year. 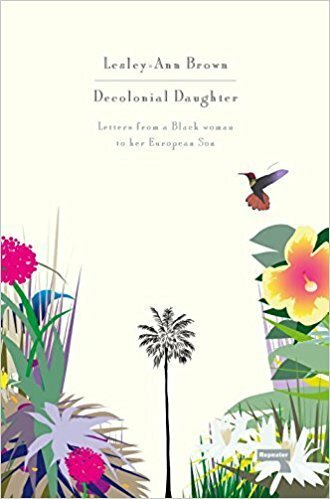 Decolonial Daughter: Letters from a Black Woman to Her European Son will be available in paperback on –15 May 2018. A Trinidadian-American writer and activist explores motherhood, migration, identity, nationhood and how it relates to land, imprisonment, and genocide for Black and Indigenous peoples. Having moved to Copenhagen, Denmark from Brooklyn over 18 years ago, Brown attempts to contextualise her and her son’s existence in a post-colonial and supposedly post-racial world where the very machine of so-called progress has been premised upon the demise of her lineage. Through these letters, Brown writes the past into the present – penned from the country that has been declared “The Happiest Place in the World” – creating a vision that is a necessary alternative to the dystopian one currently being bought and sold. Pre-order now in Europe or the US.